Exercise Books making and supplying orders is a very good Home based small business idea. 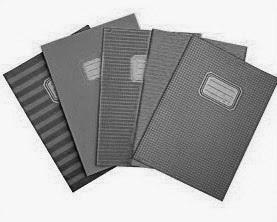 Exercise Books are very essential thing in schools, colleges, offices, courts home and its demand is found all throughout the year. With the Exercise Book Making Machine you can make various types of Exercise Books like plain Exercise Book, Science Practical Exercise Book, Geography Practical Exercise Book etc. and can supply orders in local market. At first you have to buy rim paper from the market. This paper is available in cheap price in the market of Baithakkhana and Rajabazar in Kolkata. Then you have to cut the paper in indicated size with Paper Cutting Machine. You may use Ruling Machine to draw lines on plain papers. You may use Counting Machine to put serial number on Exercise Books. You can use various cover pages also. Now you have to stitch the Exercise Book with Stitching Machine. You may use Hardpress Machine to press the Exercise Books. It needs 1 to 2 hp motor and 220 volts to operate the Exercise Book Making Machine. The price of the 30 inch motor operated Cutting Machine is approximately Rs.1, 25,000. The price of the Ruling Machine is approximately Rs.80, 000. The price of the Stitching Machine is approximately Rs.30, 000 and the price of the Counting Machine is approximately Rs.30, 000.